Restoration Family Chiropractic has a deep desire and passion to serve the families of Frederick, MD. Yes! That includes everyone in the family from your newborn to grandparents! A non-complicated, vaginal birth process, as beautiful and life-giving as it is, can be very stressful not only on mommy, but for baby as well. Throw in additional complications and interventions, the stress on mom and baby only increases. Studies show that over 85% of newborns acquire their first misalignment at birth. You can imagine why, as the primary concern during the birthing process is to have baby come out as quickly as possible to benefit a healthy mom and baby. These misalignments create nerve interference, which is called a subluxation. When a newborn experiences a subluxation that is left uncorrected, we see a host of issues arise. We find that the newborn is not able to properly communicate from the brain to the body or live life to the fullest. An improper functioning nervous system is the root cause of many increasing childhood issues we see today. Proper growth and development in those early years is especially important to their health outcomes throughout life. As children continue to grow, their spines experience many forms of trauma. While children can experience those big falls off couches and changing tables, many more “little traumas” occur as the child learns to walk, play with their siblings and friends, discover their limits, and become more involved with sports. 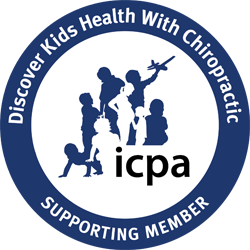 After birth and throughout childhood, it is important to have your child checked as soon as possible by a chiropractor to determine if stress from the birth process or life caused any misalignments in the spine. Remember, prevention is the best medicine! Healthy kids make for healthy adults, and healthy adults allow for a healthy family! It is much easier to grow healthy children than it is to fix broken adults. Getting your child checked, allows them to grow and develop the way that they were designed.